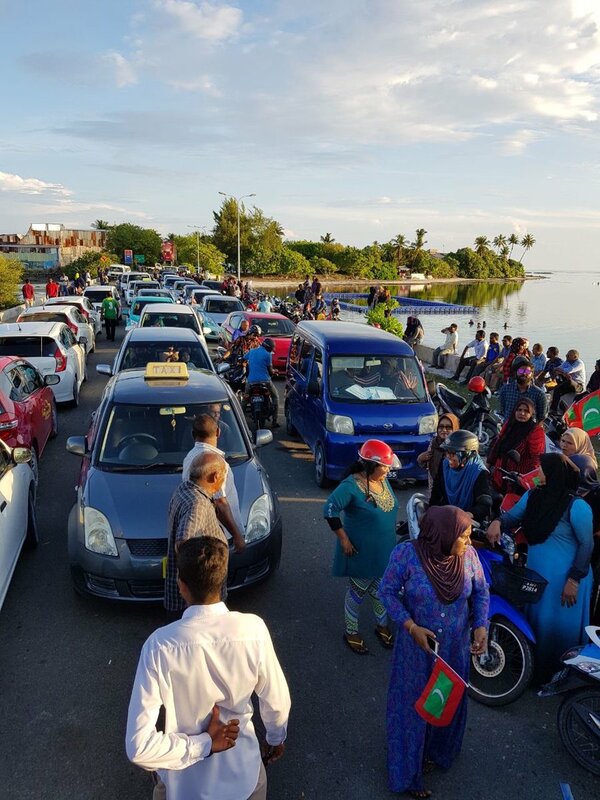 Friday’s protests, organised by the Maldives United Opposition (MOU), were held on more than 15 islands. There were 23 arrests, with politicians and journalists among those detained. 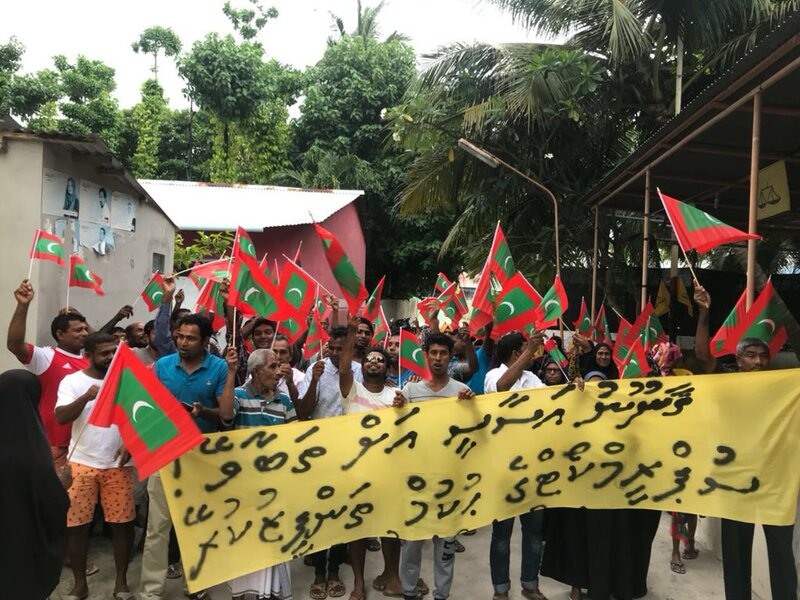 Thousands gathered across the Maldives calling for the arrest of President Abdulla Yameen, part of a push back against a state of emergency declared by him earlier this month. Yameen has said there was a plot to overthrow his government and that the only way to investigate it was by declaring a state of emergency. 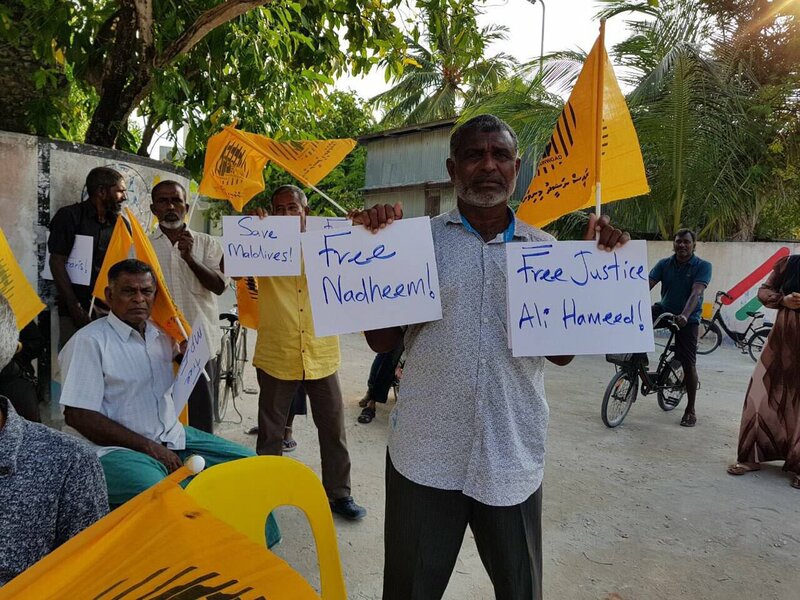 There have also been protests about his refusal to obey a Supreme Court ruling ordering the release high-profile prisoners, who are also his opponents. 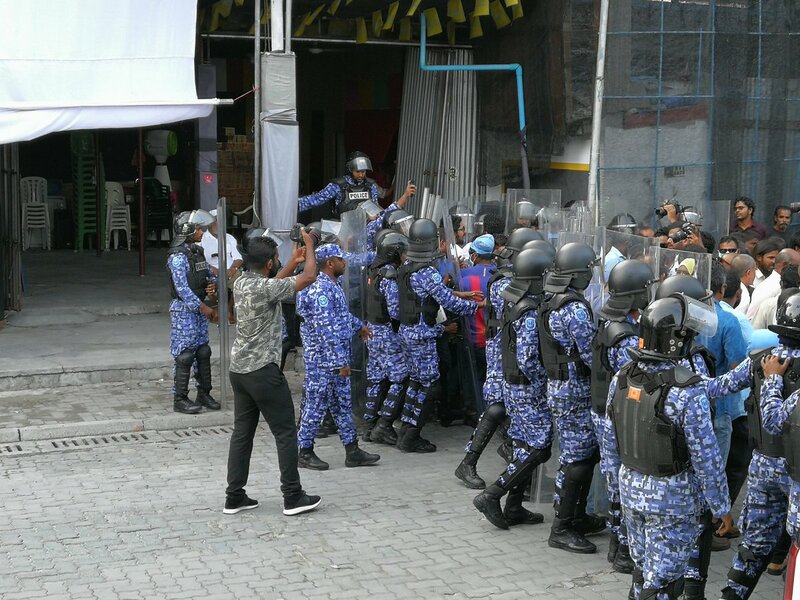 Around 20 constitutional rights have been suspended under the state of emergency, including the freedom of assembly and the right to information. There was a protest at the capital’s Artificial Beach area. 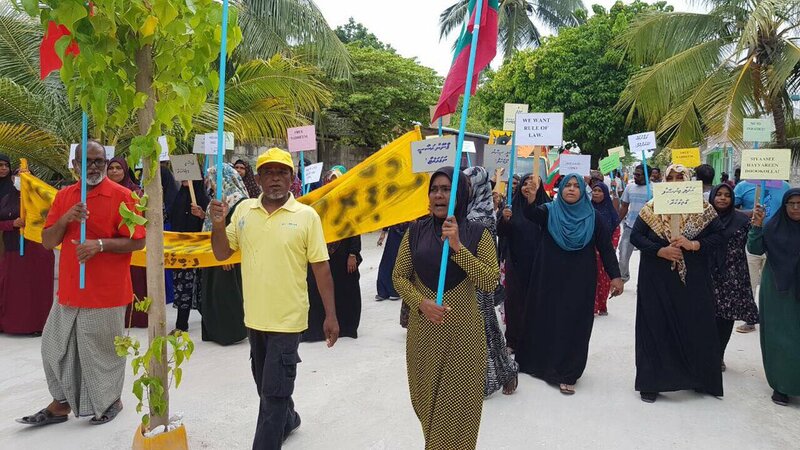 Police told the crowds that protests were not allowed in Malé and used pepper spray on demonstrators. 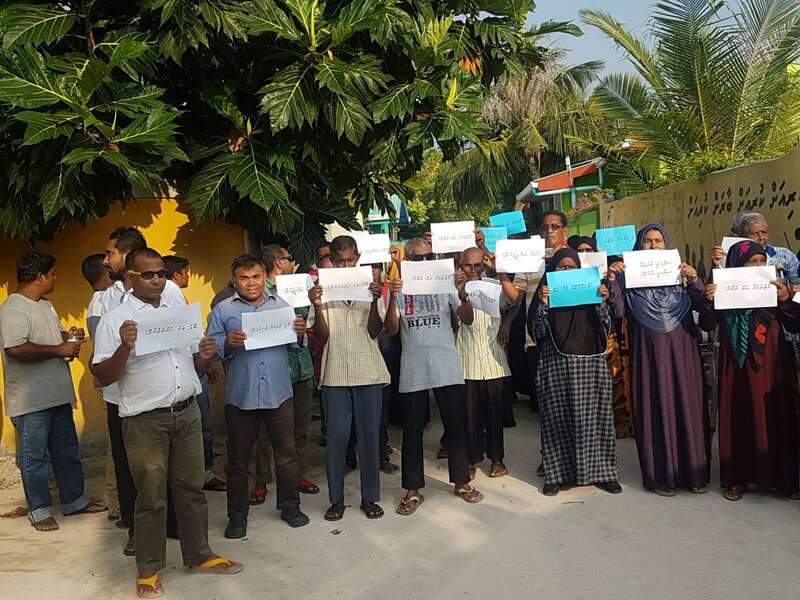 Police also closed down the nearby office of the Maldivian Democratic Party (MDP). Protesters reconvened at around 8 pm at the capital’s main road to demonstrate at Chaandhanee Magu junction. Traffic there was held up for more than two hours. 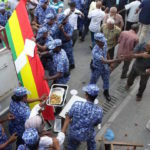 There was also a protest outside the opposition Jumhooree Party’s headquarters, with police erecting barricades outside it, and pepper spray again being used. 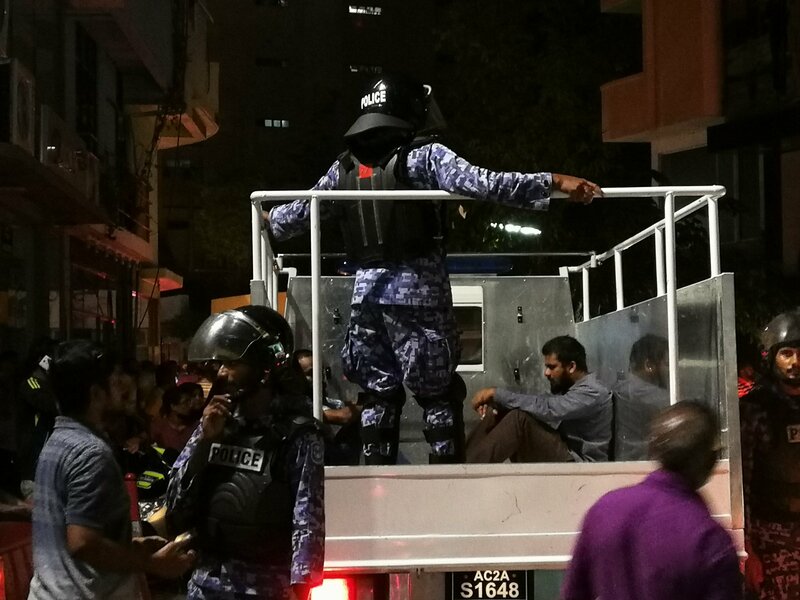 Riot police wearing masks and carrying shields charged at people and also told the media not to broadcast events live from Malé. Hussain Hassan from RaajjeTV and Leevan Ali Nasir from VTV were arrested at Majeedhee Magu at around 11:30 pm. They were later admitted to hospital for treatment. “One of them deadlocked my neck in his arms and then dragged me out of the police van. While he dragged me on the ground and in to the police station several other officers hit me,” Hassan told the Maldives Independent. Leevan, who was in the police van with Hassan, confirmed this account. “Doctors are saying that bruises on his body show that Hassan was beaten on the chest, there’s small cuts all over his body too. We don’t know if it was animals or humans who attacked him,” RaajjeTV COO Fiyaz told the Maldives Independent. 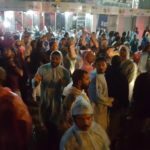 Around 20 journalists were taken to hospital after being pepper sprayed. 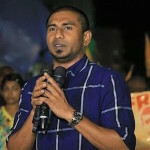 The vice president of the ruling Progressive Party of Maldives (PPM) Abdul Raheem Abdulla said action should be taken against media outlets that spread discord. 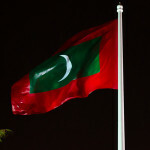 “All the work done by RaajjeTV and VTV is to incite hatred and violence in this country. The work to misinform and put the public into a state of panic. The work of spreading discord,” he said. PPM lawmaker Ahmed Nihan alleged the protests had been organised by the media. “We see tonight’s rally being led by journalists from RaajjeTV and VTV. [We] don’t know where MUO and MDP leaders are,” he tweeted. The state of emergency is due to end February 20.